This is a double issue of the APRN Newsletter, containing the 3rd and 4rth quarter. 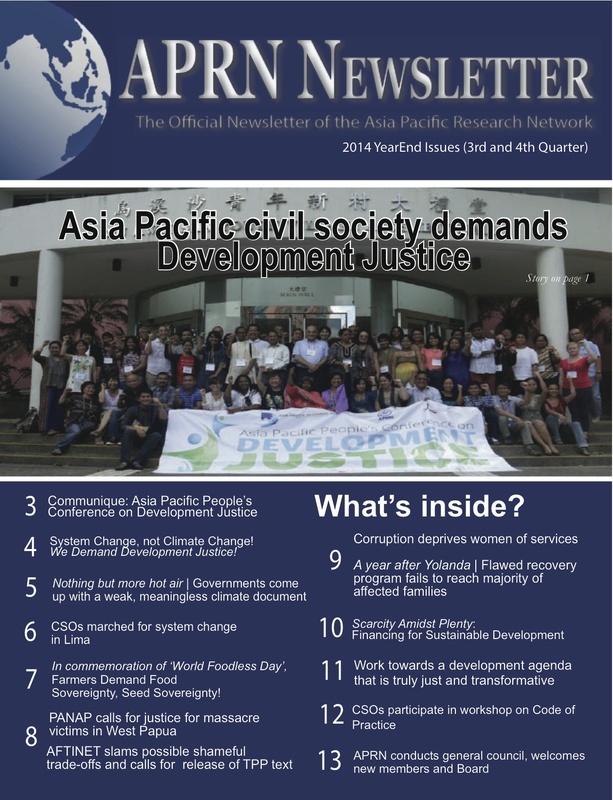 In this issue, the network’s Biennial Conference and General Council Meeting are featured, as well as actions at the PGA in New York and at the Climate Summit in Lima, Peru. Enjoy reading and Season’s Greetings!